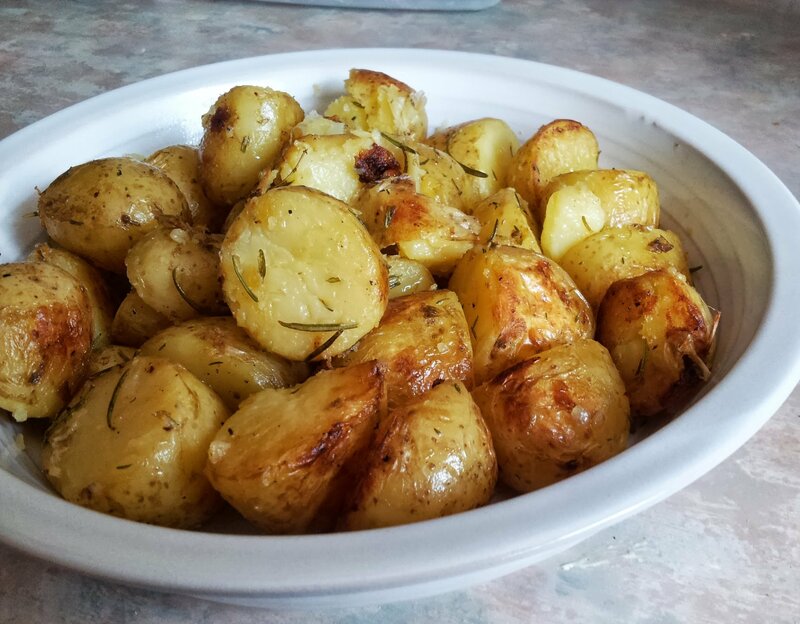 Rather too fond of potatoes. 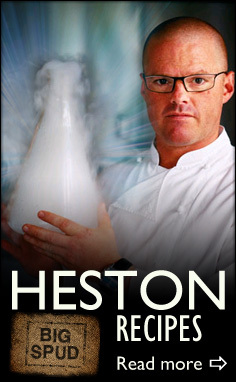 I’ve read Heston at Home a bunch of times but I’ve always glossed over this recipe. 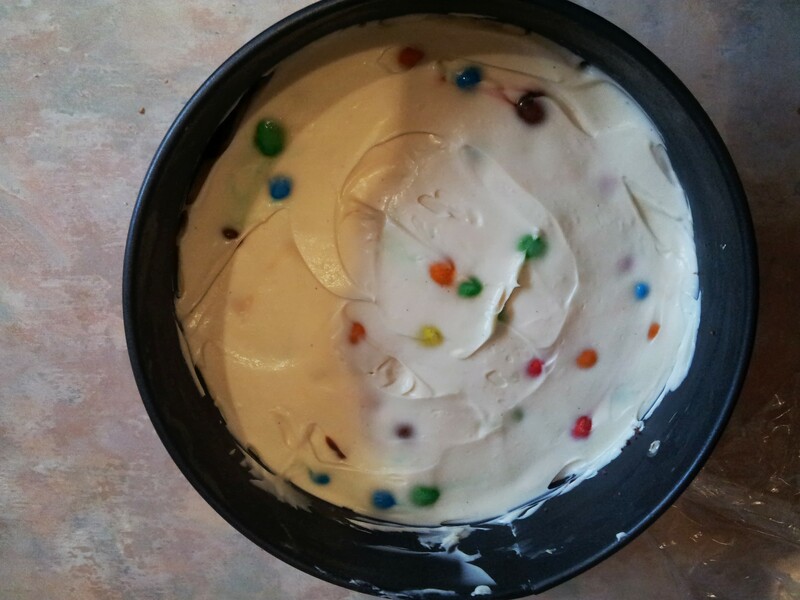 The picture isn’t very appealing – in fact you can barely see the dish. 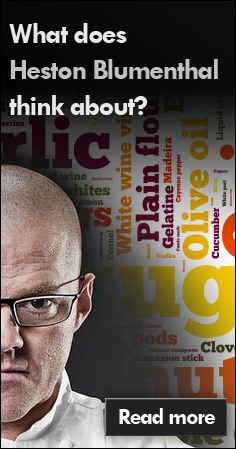 It took good old In Search of Heston blogging it to make me give it a go. Handily, they’d pointed out a few quirks in the method worth noticing so I’m totally surfing their experience here. Such as using an expensive sherry – no way am I buying booze for a one-off but I always keep a bottle of Marsala on hand for cooking. And using double cream is just too indulgent, so I went for creme fraiche. Seem like reasonable substitutions to me. There’s a brining stage too which I went for but you can skip if you’re short on time. There’s also a heart wrenching moment after you’ve simmered diced veg in the broth that you’re supposed to throw the vegetables away. No chance am I binning that goodness and frankly, money. I chose to blitz this up my trusty Kitchen Wizz Pro which thickens the sauce and makes it more wholesome. 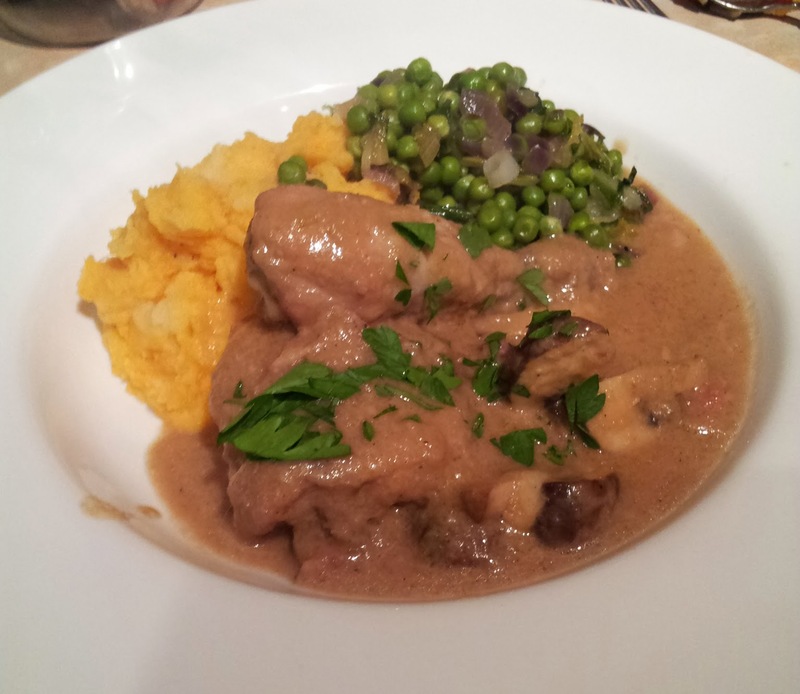 This recipe also gave me the opportunity to try a product I think Heston would approve of. 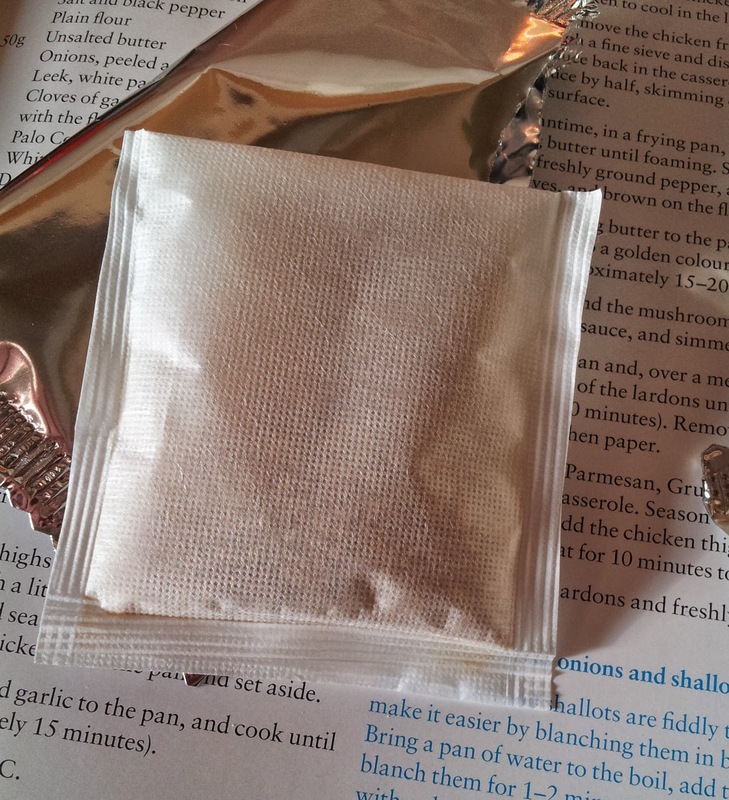 Joel Robuchon chicken boullion comes in these giant tea bags that you poach gently. I admit to being skeptical – it had the whiff of duff endorsement about it. But it creates a surprisingly interesting flavour, wholesome but clean-tasting. A step above a stock cube for sure. The finished dinner is rib-sticking and gorgeous. In fact, to be thrifty I’d get to the point where the chicken is cooked and stop there. You’d have a delicious cream of chicken style soup, plus some poached chicken portions for other recipes. The broth really is delicious, I had to shoo Mrs Spud away from the wooden spoon. In fact, I think the finishing touches of mustard, cheese and truffle oil are completely superfluous and the parmesan in particular only serves to muddy the taste. Next time I’d skip the garnish (apart from the parsley – needs that fresh edge to it). I served mine with sweet potato mash and petits pois a la francais, but you definitely need some greens on there to offset your carb intake! Place the chicken in the brine, chilled, for 6 hours, not too much longer as it’ll be too strong. Drain and pat dry when ready. Season the chicken with flour, salt and pepper and fry in a large casserole dish with a little butter until golden. Remove from the pan to one side, and gently fry the onions, leek and garlic for 15 minutes. Preheat the oven to 100°C. Add the Marsala to the casserole pan, crank up the heat and set alight. When the flames have died down turn the heat back down and add the stock and creme fraiche. Simmer for 20 minutes. Return the chicken to the pan, cover and roast for 40 minutes or until the chicken is cooked to 70°C throughout. Allow the chicken to rest and cool to room temperature in the liquid. Remove the chicken, pour the liquid & veg into a food processor and blitz until fine. Pour this back into the casserole pan and boil until reduced by half. Resist all urges to drink from the dish. Meanwhile, fry the bacon and mushrooms until tender, then add to the casserole pan. Stir through the cheese and mustard and pop the chicken back in to warm through. Serve garnished with chopped parsley. 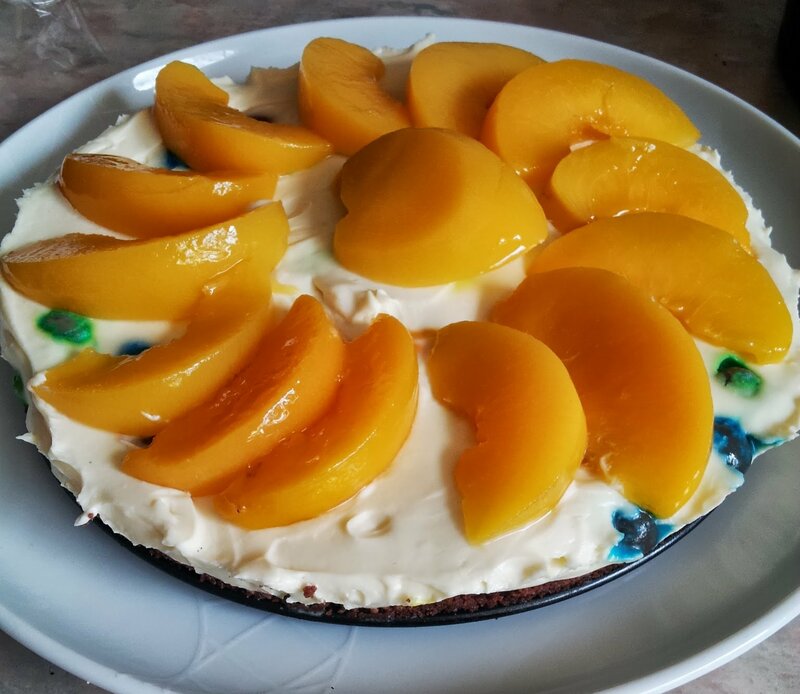 This entry was posted in food on October 10, 2013 by Gary. What a great year it’s been for tomatoes. The plants in my garden have been raving with fruit, and they’ve been bursting with sweetness. A really bumper crop. Most of them have ended up in pasta sauce and pizza topping but these ones were deserving of a little more. And so I happened across a recipe for a “BLT tortilla” in the SORTED cookbook but didn’t fancy rocket in mine, so some frozen broccoli jumped in instead. 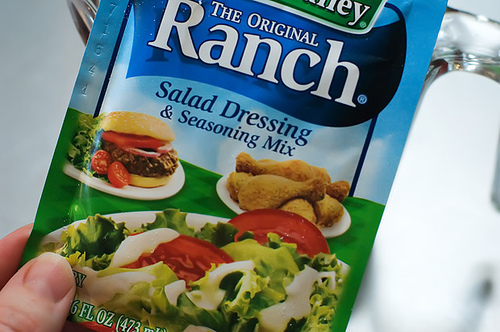 Coupled with refreshing, sweet tomatoes what you get is a portable and tasty lunch that’d be great in a picnic or easily upgraded to main meal status with a decent salad. Get a frying pan over a high heat and preheat the oven to 180°C. Add a dash of oil to the pan and fry the bacon briskly until coloured, and then add the broccoli. Stir fry until the broccoli has started to soften. Mix the eggs in a bowl with the parmesan, a pinch of salt and a few grinds of black pepper. Pour this and the tomatoes into the pan, and take this opportunity to space the veg around the pan evenly. When that’s done transfer to the oven and bake for 15 – 20 minutes until the wobble has just gone. Leave to cool in the pan for 10 minutes before turning out and serving. 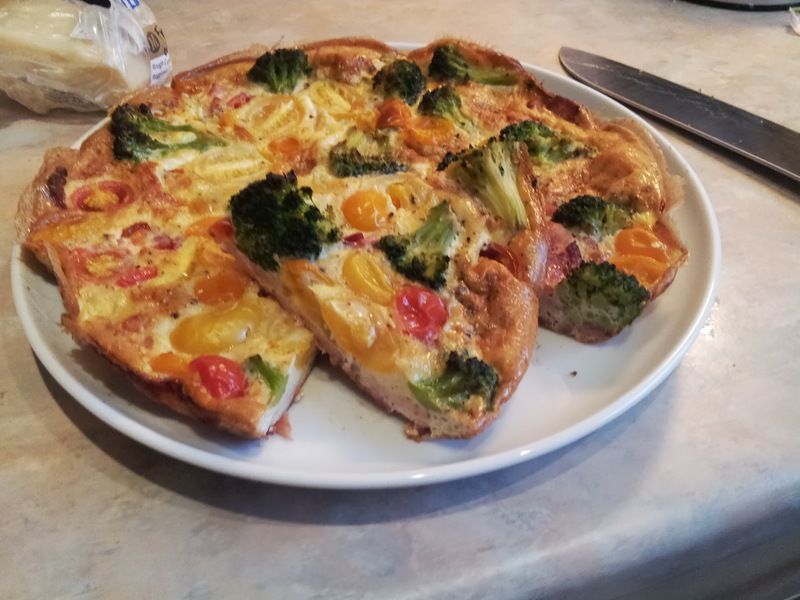 This entry was posted in bacon, broccoli, egg, parmesan, tomato on September 4, 2013 by Gary. YouTube is quickly giving rise to a whole new breed of superstar; the self-made vlogger. From NineBrassMonkeys to Periodic Videos, if you’ve got something to say there’s a place for your voice. And if people like you, you’ll build a following (a quick shout out to my great mate MeganIsSleeping – go watch, subscribe and like!). This of course allows room for all hobbies, including food and cooking. I’ve given it a try myself but struggle to make it work. Some people that have found the magic formula are Sorted Food. With nearly half a million subscribers and over 35 million combined views, they’re clearly doing something right. I was sent a printed copy of Sorted Food’s Food with Friends . On first pass everything reads a little ordinary, but looking again there’s surprising time-saving ingenuity at play – tapenade as a duxelle substitute in a Wellington, tinned oysters in a gratin, BLT in tortilla form. In terms of writing all the instructions are bold and brash with laddish overtones, featuring plenty of SQUEEZE this and SPLASH that. 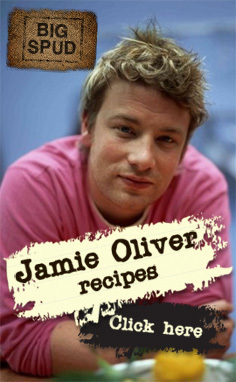 There’s definitely a debt to Jamie Oliver in the style, but it may put some off. As a fan of the channel, Spud Jr took over this one. 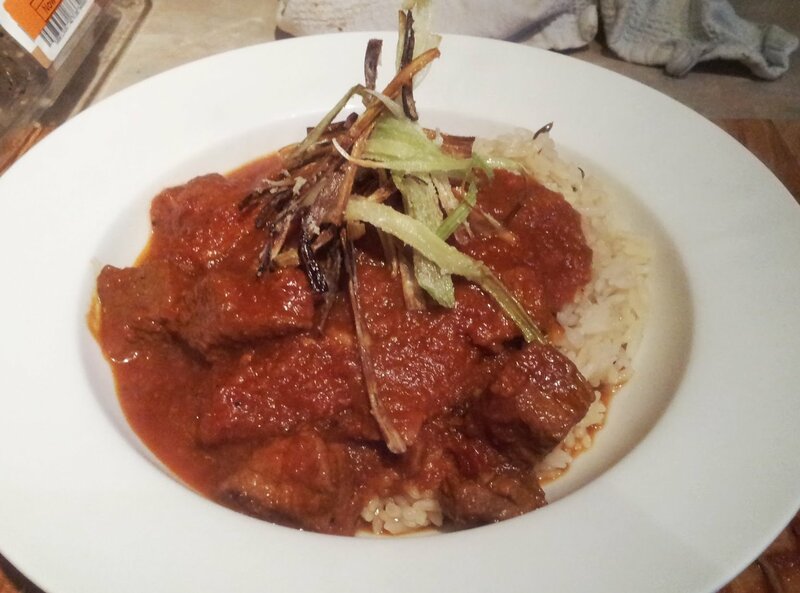 We left this simmering for 90 minutes but there was definitely something missing from the flavour, it lacked depth. I had to tone down the chilli content for the family so the tomato was the dominant flavour. It took a little boost from powdered coconut to add a rich sweetness (I love this stuff from Maggi’s and have always got a box handy for coconut rice, Thai dishes or cake mixes). The instructions are slightly off on this recipe, referencing a paste which you may not realise you’ve just created in previous steps. My beef also wasn’t tender in 90 minutes, so this recipe would need someone confident dealing with casseroling meat to know it may take longer. I reckon with patience 4 hours would make this melting and delicious. This are nitpicks really, from someone who’s spent a long time in the kitchen. If you’re looking for a great core of recipes you’re likely to actually want to make in an accessible style, this would be a good start. 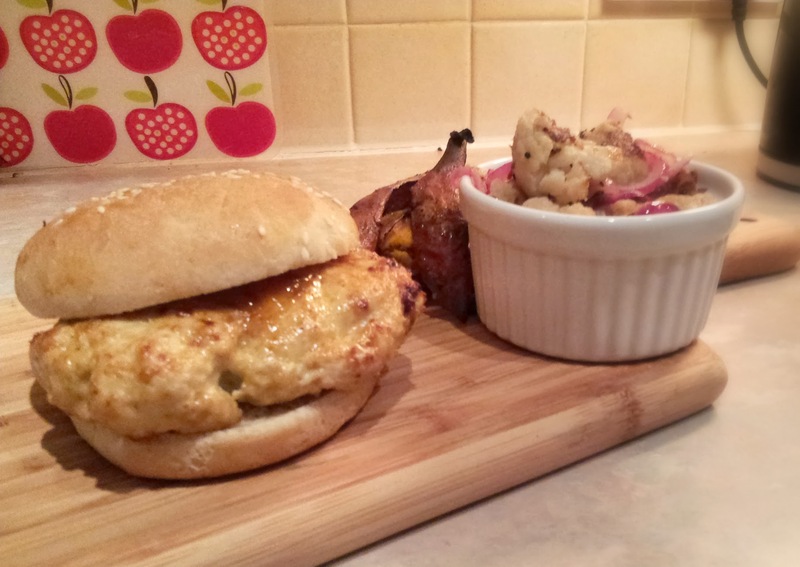 With recipes at the more humble end of budgets and a focus on fast food (the good kind! ), this would be a great book to slide into a student’s bag before they head off to Uni (or gift them the Kindle version). If you want to give it a try, The Ultimate Barbie from the Sorted crew is free to download for Kindle. Thanks to Penguin for the book. Get a large lidded casserole on the hob over a high heat. Season the beef and fry all over until browned. While the beef browns, in a food processor blitz the onion, garlic and ginger to a paste. Add the salt and some pepper, the chilli, coriander, lemon and fennel and whizz for a second or two to recombine. Add this to the browned beef and continue to fry until fragrant. Add the tomato puree, tinned tomatoes and stock, stir well to combine and then cover. SImmer on a low heat for 60 minutes and stir in the coconut. After 90 minutes check to see if the beef is tender. For the leek garnish, slice the leek into fine strips and dust with cornflour. In a generous amount of oil fry the leek strips for a minute on each side then drain on kitchen paper. Sprinkle with salt and scatter over the curry. Serve with creme fraiche and basmati rice. 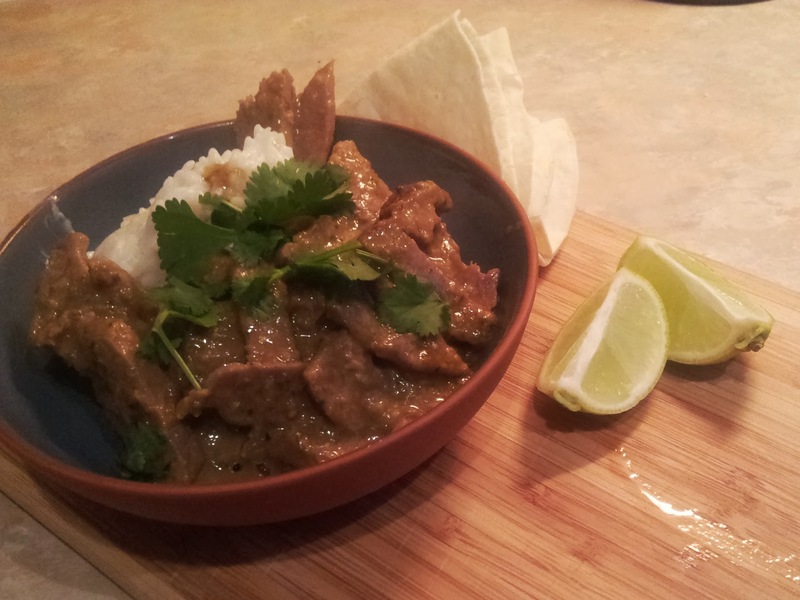 This entry was posted in beef, coconut, coriander, curry, food, leeks, tomato and tagged ben ebbrell on August 28, 2013 by Gary.